The Escape Game at the RailPark is an adventurous and immersive entertainment activity designed for groups of people. You will work together as a team to escape from a locked train car in under 60 minutes. Getting through the locked train car door will require finding clues, solving puzzles, and working together. A staff member monitors the entire game. Escape Games at the RailPark are a great activity for groups small and large. Any occasions including or Birthdays, Anniversaries, Bachelor/Bachelorette Parties, Date Night, Corporate Team Building Events and anyone else looking for something fun to do. Do I need special training or education? I only want to play with friends / family / co-workers. Select a game above and use our Bookeo form to reserve your game. Yes and No. For your safety, an emergency exit and staff member is always available. Anyone can play! However, if you are under 14 years of age, you must be accompanied by a parent or guardian. Players age 14 to 17 can participate alone with a waiver signed by a parent or guardian. Please arrive 15 minutes prior to your booking. We do have to keep a tight schedule, so if you arrive late you may not receive the full 60 minutes in your room. Whatever you’re comfortable in should be fine, just keep in mind that you will be standing, bending and stretching. No. An escape adventure is exhilarating and exciting but not scary. No, you just need your curiosity, general knowledge and creativity. Unless you purchase all the tickets for the time slot you prefer, you could be joined by additional players. We offer a private escape train experience for your group. 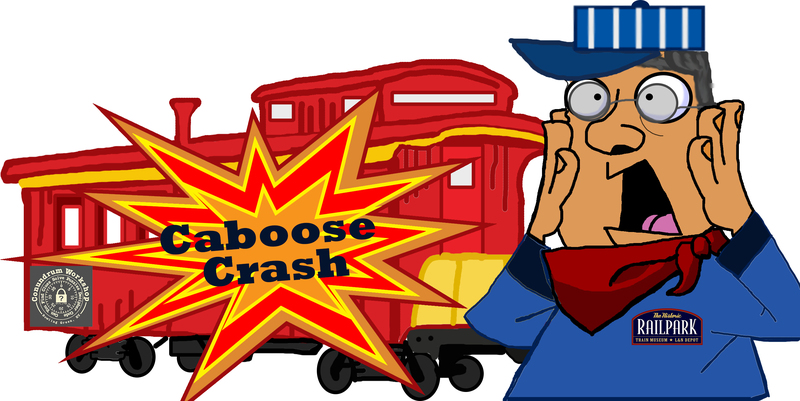 Caboose Crash – Up to 8 for a fixed price of $160. Use promo code PrivateCaboose when booking. 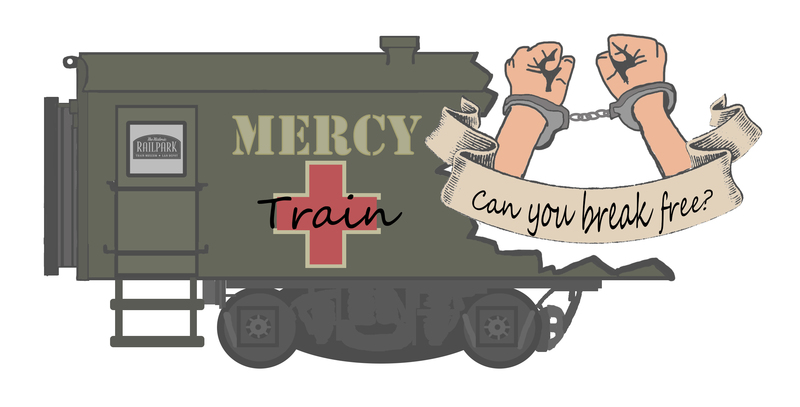 Mercy Train – Up to 12 for a fixed price of $240. Use promo code PrivateMercy when booking. Church groups can contact info@historicrailpark.com for special scheduling. Yes, we accommodate large parties and corporate groups frequently, and rooms can be reserved at historicrailparkescapegame.com. If you would like help booking your large group event or would like to rent out our facility at a premium, please email us at info@historicrailpark.com to receive a custom quote.